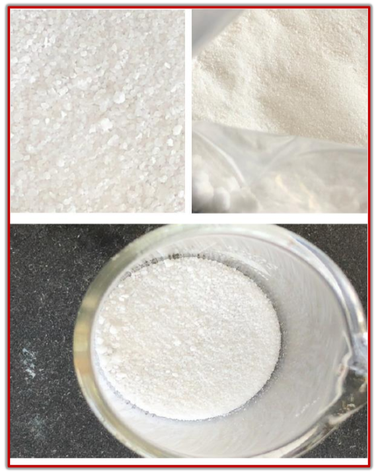 American Pacific Borate & Lithium (ASX:ABR) has delivered a high 99%+ pure boric acid crystal with minimal impurities from its process optimisation works. The process optimisation works were completed on April 10, which were designed to ensure the consistent delivery of a technical grade quality product from the company’s Fort Cady Borate Project. 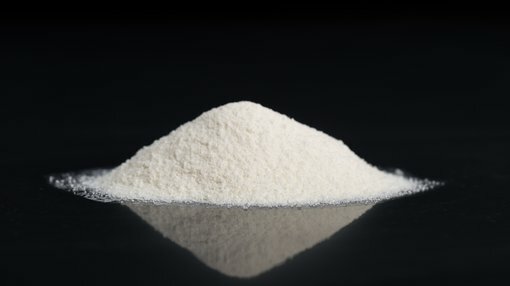 Since the completion of the Definitive Feasibility Study at Fort Cady, ABR has turned its attention to ensuring it can consistently deliver a technical grade premium boric acid product. The results of these works have been very encouraging to date, with a final process now designed to ensure the highest grade product with minimal impurities will be delivered consistently by the project site. Treating liquor (Pregnant Leach Solution or PLS) that was retrieved on site from the Fort Cady orebody by solvent extraction, using isoctanol as the organic extractor. Crystallising the final liquor via a crystalliser manufacturer where the liquor was sent for evaluation and testing of the crystallisation steps of the process (as seen below). “Our focus now turns to the completion of detailed engineering and securing the modest financing for the low capital starter project," Schlumpberger added. 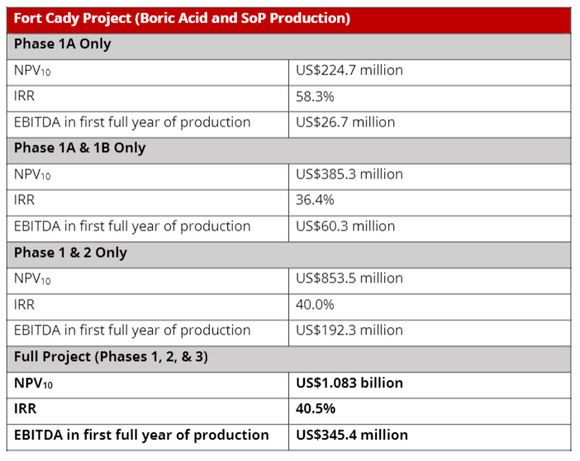 “Importantly, we have delivered a very low capital starter project with brilliant financial metrics that sees us on a pathway to becoming a globally significant producer of borates targeting an EBTDA of over US$340 million per annum. The company has now begun an informal process to secure funding for Phase 1A of the Fort Cade Borate Project. This process has tested lender appetite to significantly debt finance the initial operation, with responses to enquiries largely positive to date. ABR is seeking to commence a formal engagement process in the current quarter, with a view to being fully financed by Q4 CY2019. A summary of the financial metrics of the starter project and broader operations can be found below. American Pacific Borate and Lithium is focused on advancing its 100% owned Fort Cady Borate Project located in southern California. Fort Cady is a highly rare and large colemanite deposit and is the largest known contained borate occurrence in the world not owned by the major borate producers in Rio Tinto and Eti Maden.